Edith Cavell was a nurse, humanitarian and spy. During the First World War, she helped allied servicemen escape German-occupied Belgium; she was eventually captured and executed for treason. Her death by firing squad made her internationally known and she became an iconic symbol of the Allied cause. Edith Cavell was born in Swardeston, near Norwich. Her father was a priest in the Anglican church; the religious faith that she was brought up with, was to provide an important influence on her life. In 1900, she trained to be a nurse at the London hospital. In 1907, she was recruited to be the matron of a new nursing school in Brussels. This was a period of growth in the prestige and importance of nursing; a period which began with Florence Nightingale during the Crimean War. In 1914, the First World War broke out. At the time, Miss Cavell was in England, but she moved back to Belgium to her hospital which was later taken over by the Red Cross. As part of the German Schlieffen plan, the Germans invaded Belgium and in late 1914, Brussels was under a very strict German military occupation. Many British soldiers had been left behind in the withdrawal of the Allied forces and were stuck in Brussels. Miss Cavell decided to aid the British servicemen, hiding them in the hospital and safe houses around Belgium. From these safe houses, some 200 British servicemen were able to escape to neutral Holland. At the same time, she continued to act as nurse and treated wounded soldiers from both the German and Allied side. 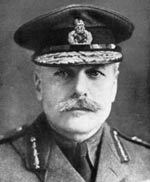 The occupying German army threatened strict punishments for anyone who was found to be ‘aiding and abetting the enemy’. Yet, despite the military rule, Miss Cavell continued to help. In mid-1915, nurse Edith Cavell came under suspicion for helping allied servicemen to escape; this was not helped by her outspoken views on her perceived injustice of the occupation. 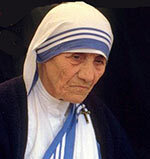 In August 1915, she was arrested and held in St Gilles prison. After her arrest, she did not try to defend herself but only said in her defence that she felt compelled to help the people in need. After a short trial, the German military tribunal found her guilty of treason and sentenced her to execution. This surprised many observers as it seemed harsh given her honesty and fact she had saved many lives both Allied and German. Brand Whitlock, the US minister to Belgium and the Spanish Minister, ‘The Marquis de Villalobar’, made representations to the German High Command asking her sentence of death be commuted. In particular, the US minister warned the Germans that this execution of a nurse would damage Germany’s already bad reputation and would be seen as an injustice in the eyes of the world. The following morning she was executed with other Belgians convicted on similar charges. There are conflicting reports of her execution. But, in one report, a German soldier is said to have refused to execute Miss Cavell and was shot by his commanding officer. However, this account is refuted by Pasteur Le Seur who was at the execution. 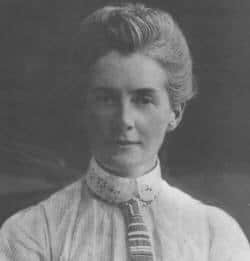 In some misleading allied propaganda, Edith Cavell was reported to have fainted with fear and refused to wear a blindfold, after which she was shot in the head by a German officer. This was found to be untrue. 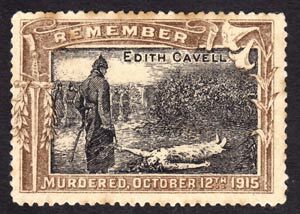 After her execution, the fate of Edith Cavell was widely publicised in the British and American media. It was shown as more evidence of German brutality and injustice. Edith Cavell was portrayed as a heroic and innocent figure who remained steadfast in her Christian faith and willingness to die for her country. It was hoped her example would encourage more men to enlist. The incident and the disgust at her treatment by the German military played an important role in shaping American public opinion and easing America’s entry into the war, later in 1917. After the war, her body was returned to Westminster Abbey for a state burial. Her body was later buried in Norwich Cathedral. Citation: Pettinger, Tejvan. “Biography of Edith Cavell”, Oxford, UK. www.biographyonline.net. Published 30 November 2010. Last updated 13 February 2018. 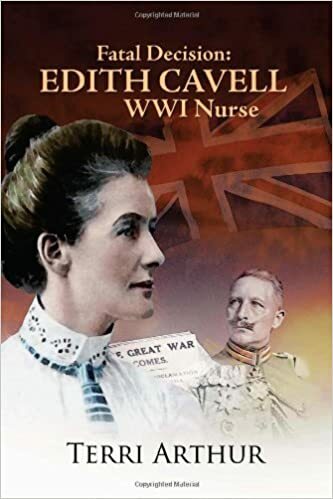 Edith Cavell WWI Nurse – Fatal Decision at Amazon by Terri Arthur.